I designed a variable Arabic fonts with glyphsapp. GX exported font works well in web browser and Adobe apps. But when I create OpenType features automatically, the GX font (variable font) does not work properly in Adobe Ai and Ps, and the letters are separated by typing. Although everything is right in the browser! 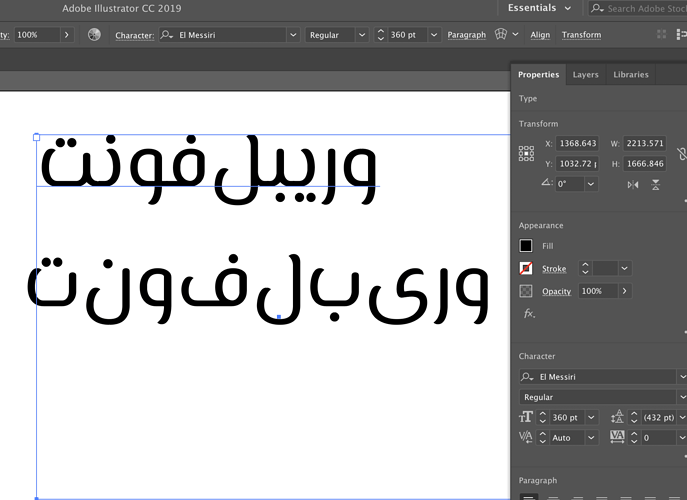 Does Adobe still not support Arabic variable fonts? The above is a normal font and the below is Veriable font. This is a bug in Adobe apps. For some reason, (most) OpenType features are disabled in variable fonts.